The iPhone 4S is a Smartphone developed by Apple Inc. It is the 5th generation of iPhone . The iPhone 4S got IOS 5 Update which comes with all new features and also available with Apple Store. Some of the best features of Apple is to experience best gaming graphics, Siri which will execute your statements and will give respond to it, imessage and lots more. 1.AnyPlayer :- AnyPlayer Play Movie/Music, Live Streaming ,MP3, M4A, AVI, ASF, MKV, FLV, MP4, 3GP, MOV, WMV, TS .Also Support various movie format playbacks without converting media format. AnyPlayer has Retina and High quality display. 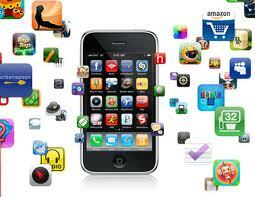 It has features like Background music playback, Multitasking and Headphone remote control. 2. AroundMe:- AroundMe allows you to quickly find out information about your surroundings. 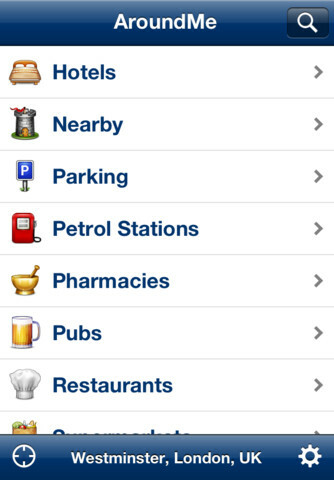 So that you can quickly identify your position and help you to find restaurant, bank or any well known place. 3. Skype:- Skype allows you to Call, video call and instant message anyone else on Skype for free but opponent user must have Skype on their iPhone. 4. Wi-Fi Finder: It find Wi-Fi hotspots near you and Search for public Wi-Fi anywhere in the world. It can also work in Offline mode too. 5. Dictionary: The free Dictionary app delivers world-class reference content from Dictionary.com ,It works without internet connection .More than 90,000 synonyms and antonyms in Thesaurus.